Cute enough to dress up or wear with jeans. 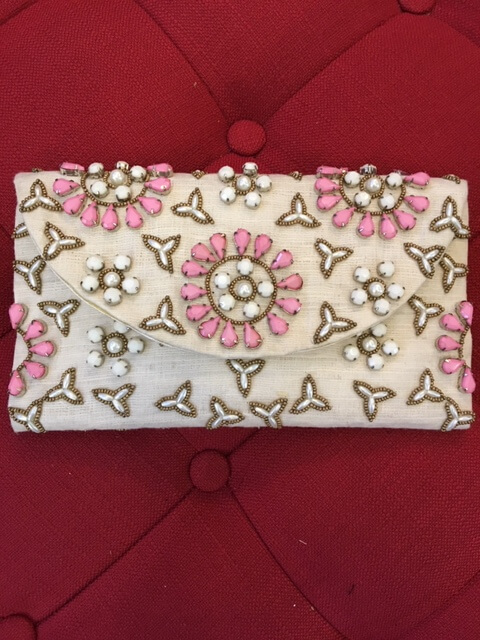 Beaded handbag in ivory with pink and gold stones. 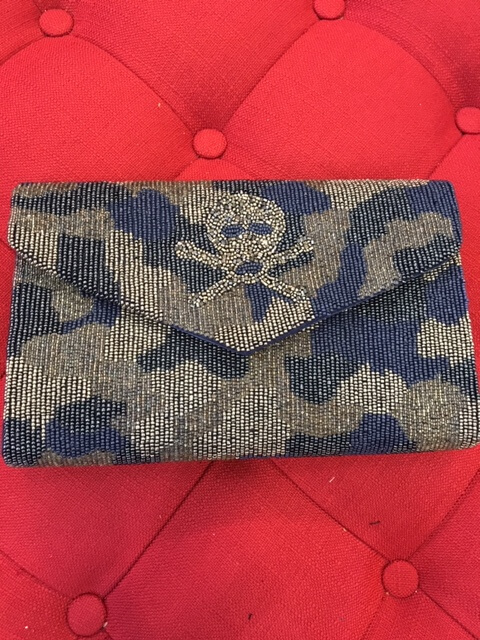 Includes silver strap or carry it as a clutch. Size: 9 1/2″ by 5 1/4″.